A dominant force in Formula 1, McLaren is now a 50-percent partner in the Bahrain-Merida team and expected to offer extensive expertise. Everyone knows the name McLaren. The company is famous for its Formula 1 racing team, its cutting edge technology, as well as its marketing acumen. Now, all that accumulated knowledge will be brought into the cycling world after McLaren penned a partnership with Bahrain-Merida. Will the marquee brand’s entrance to the peloton change cycling? Maybe. Will McLaren’s arrival change Bahrain-Merida? Definitely. The arrival of the McLaren Group to professional cycling is a landmark deal in many ways. The UK-based company is much more than its Formula 1 racing team and world-class cars. The British conglomerate also includes a subsidiary called McLaren Applied Technologies, which works in various high-tech projects that will cross-pollinate with the cycling team. In a peloton dominated by incremental gains, McLaren’s arrival could move the needle in more ways than expected. The deal was announced in December, overshadowed a bit because it came out the same day that Sky confirmed it was ending its backing of Team Sky after 2019. It is more than a traditional sponsorship contract to slap McLaren’s name on the jersey. 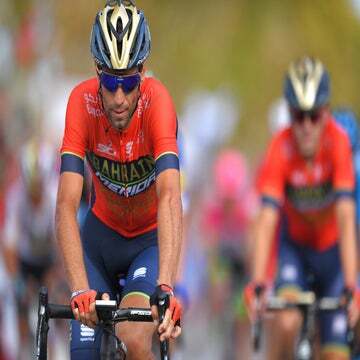 In fact, the team will remain Bahrain-Merida in 2019. Instead, McLaren joins as a permanent partner in the team ownership without any past-due date to its cooperation. Copeland said the team’s budget will only increase slightly with the arrival of McLaren, and it’s not going to catapult the outfit to Team Sky levels. Instead, McLaren will bring its know-how, skills, and experience, and apply them to cycling. McLaren already has a set crew within the organization designated to work with the team. And several key riders have already begun to work with McLaren, with wind tunnel testing at its world-class facility south of London. Though the deal is barely a month old, McLaren is already working closely with the team. McLaren will ease into the sport quietly, using much of the first year of the collaboration to observe and learn as much as they can about a sport that’s as unique and quirky as Formula 1. Then they’ll work to apply what they know and bring it to cycling, and adapt the tools they have from motorsports and apply it to bicycle racing. So how can McLaren help reshape Bahrain-Merida, and to a larger degree, cycling? Wind tunnel testing is the obvious one. Aerodynamics, technical support, and materials are other natural areas for McLaren to help. Add some of the marketing and commercial flare that’s made Formula 1 a worldwide phenomenon, and Copeland is licking his chops at the deal’s potential. McLaren isn’t new to cycling. The team has worked before with British Cycling and Specialized. What’s different is this is a full-time commitment to one team. So why Bahrain-Merida? One main reason is that the McLaren Group is majority owned by the Bahrain sovereign wealth fund. There were already links between the company and the Bahrain royal family, which brought Formula 1 to the Middle East. So the connection to cycling was a natural fit. Everyone will be watching with interest to see what McLaren brings to the table. Its auto-racing arm is the second-most successful in Formula 1 history, with such illustrious drivers as Emerson Fittipaldi and James Hunt to Niki Lauda and Ayrton Senna and Lewis Hamilton. Will McLaren be such a dramatic force in cycling? It should be a dynamic addition to a continually evolving sport.